Be the first to share your favorite memory, photo or story of MR. JAMES . This memorial page is dedicated for family, friends and future generations to celebrate the life of their loved one. Mr. James "Jimmie" G. Huggins, a resident of Eclectic, Alabama, passed away Monday, January 28, 2019, at the age of 78. Funeral services will be Wednesday, January 30, 2019 at 2:00PM at Mt. Hebron Church of Christ with Rev. John David Parker officiating. Burial will follow in Mt. Hebron Church of Christ Cemetery, Jeffcoat Funeral Home directing. Mr. Huggins is survived by his wife of 57 years, Mahella Chavers Huggins; children, James M. Huggins (Melissa), John D. Huggins (Jeana) and Joe P. Huggins; seven grandchildren, Eric Huggins (Rachel), Jordan Huggins (Christina), Chelsea Huggins-Polis (Michael), James Robert Huggins, Jake McGhee, Cody McGhee and Ivy McGhee; three great grandchildren; sisters, Sandra Heartsill (Terry), Brenda H. McIntyre and Rebecca H. McCarter (Randall). He is preceded in death by his parents, Horace G. and Gladys M. Huggins of Georgiana, Alabama and daughter in law, Doris Thomas Huggins. 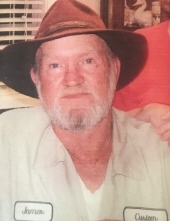 He was a long time member of the Elmore County Cattlemen’s Association and retired after 25 years with the Alabama Department of Transportation. The family would like to give a special thanks to Community Hospice Care and a special thanks to their personal caregivers for their help over this past year. The family will receive friends Wednesday, January 30, from 1:00PM until service time at Mt. Hebron Church of Christ. To send flowers or a remembrance gift to the family of MR. JAMES "JIMMY" G. HUGGINS, please visit our Tribute Store. "Email Address" would like to share the life celebration of MR. JAMES "JIMMY" G. HUGGINS. Click on the "link" to go to share a favorite memory or leave a condolence message for the family.